We are delighted that our 13&9 co-founder, Martin Lesjak, also CEO and Creative Director INNOCAD Architecture, received one of the international architecture and design community’s top honors, Contract Magazine’s Designer of the Year. 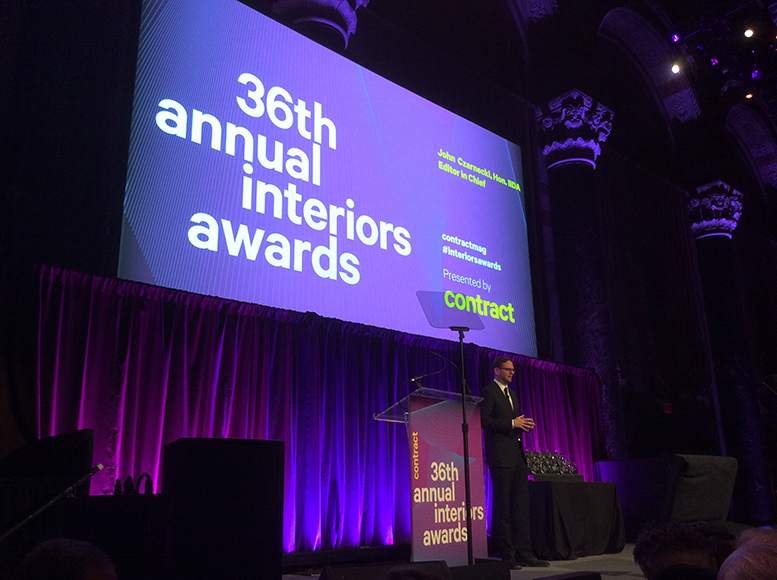 The award was bestowed on January 30, 2015 at the 36th Annual Interiors Awards Breakfast presented by Contract Magazine in New York. For the past 36 years, the A&D community has gathered at this annual event to recognize winners of interiors projects across 15 categories, as well as Designer of the Year and Legend Award. More than 600 architecture and design leaders attended the Interiors Awards Breakfast at Cipriani on 42nd Street. Winners of Interiors Awards traveled to New York for the event from across the U.S., as well as Singapore, China, Europe and Canada. 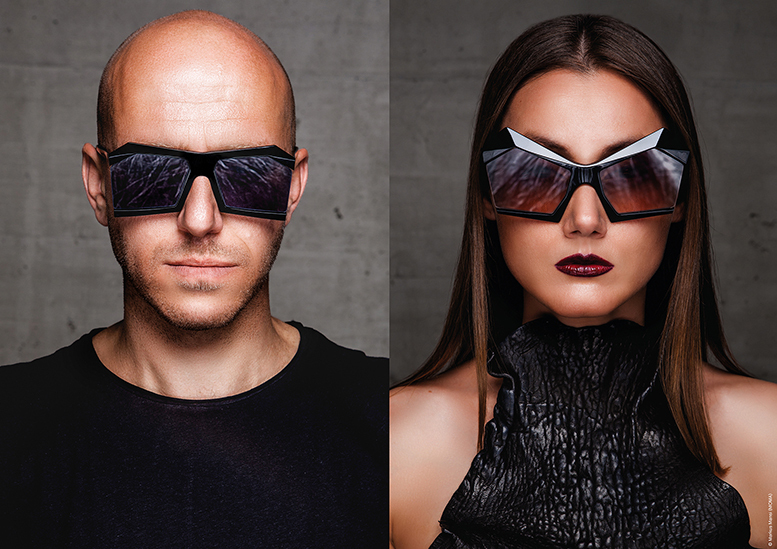 Lesjak joins a list of renowned past recipients including Michael Graves, Graft, Shigeru Ban, William McDonough and David Rockwell. 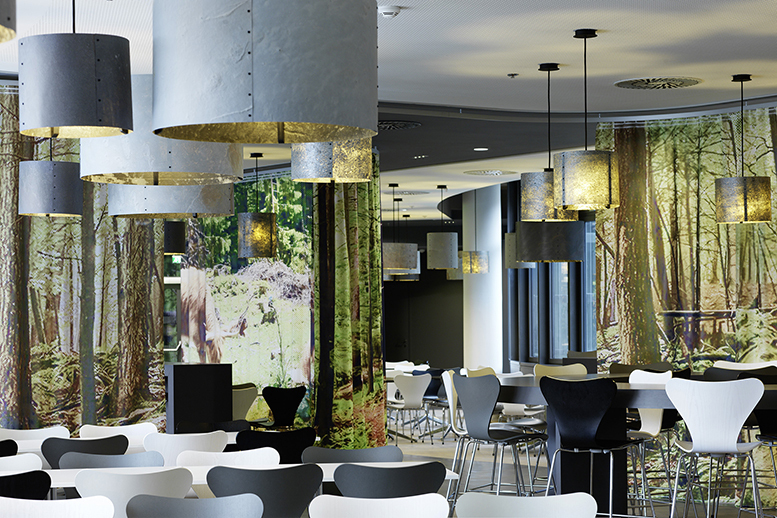 To see a full list of the 2015 Interiors Awards winners, as well as a profile story and video about Lesjak, please click on these links below. 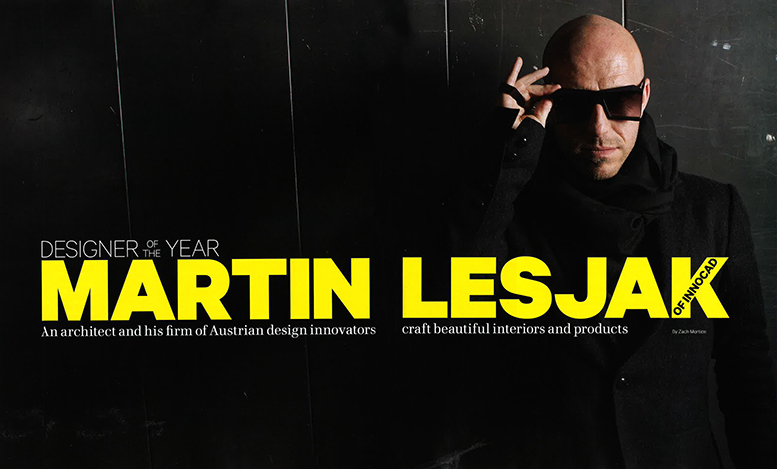 A 12-page feature story on Martin Lesjak appears in the January/February issue of Contract magazine, which also includes coverage of all Interiors Awards winners. Visit the new INNOCAD website for more information about past, current and future activities.